Statue of Liberty 自由女神 knowing this since young, when i have a chance to see the real one, i was excited ^_^. And the weather was so good, blue sky and sunny day , best day to visit..But long queue to take boat ride to Liberty island. 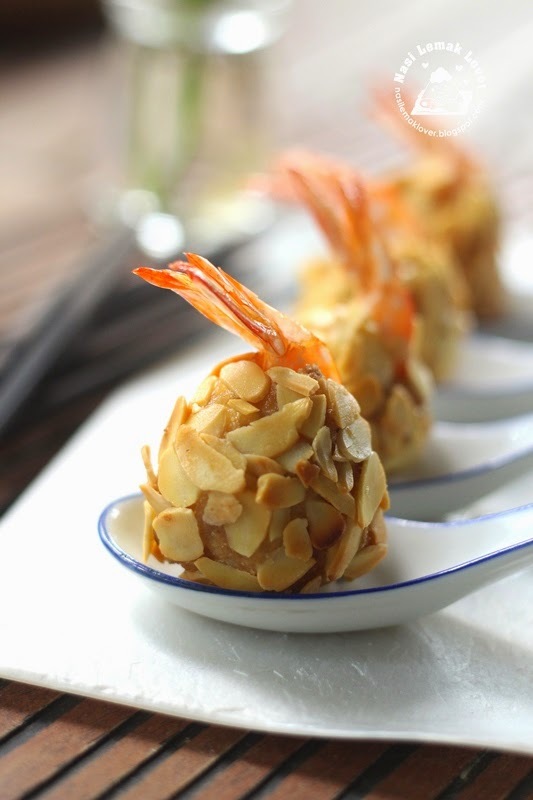 I supposed to make this deep fry prawns during CNY, but keep delaying till now..Anyway never too late to make this, nice aroma from almond flakes and juicy prawns, and dipping with sweet chili sauce, not bad at all. 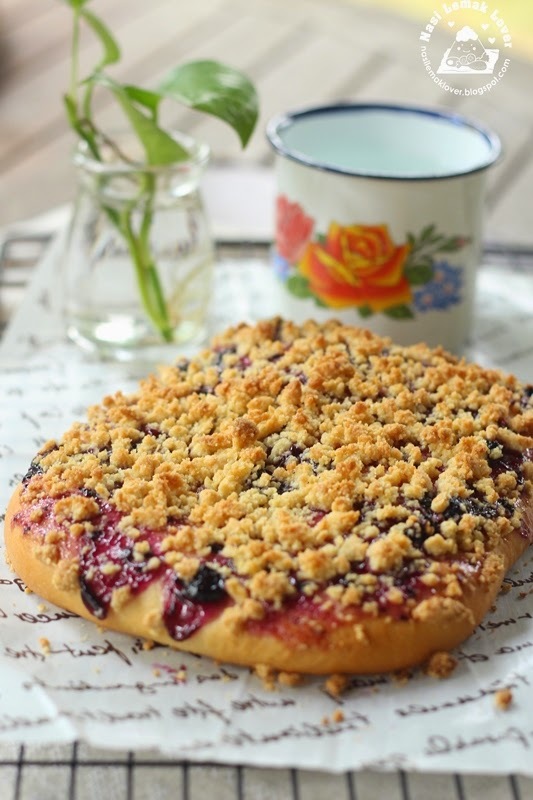 Since i still have some leftover blueberries filling from making Birthday cake the other day, and also have a big pack of ground almond . 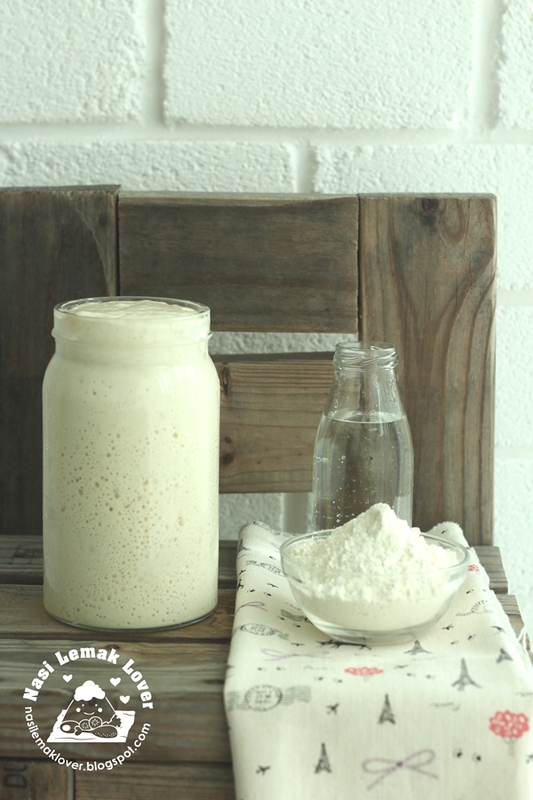 So i use these two ingredients made into this bread which i have bookmarked quite a while. 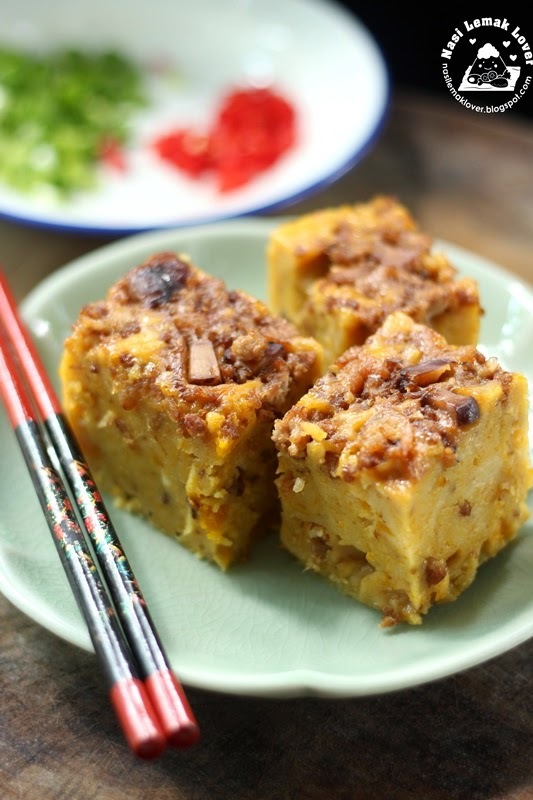 I saw a local actor's Ah Mah (grandmother) shared this steamed pumkin kueh in a Hokkien cooking TV program. I know her kueh must be tasty, and I tried it out, it was so good ! This was a birthday cake that i baked for my son Lucas's 15 years old birthday the other day. It was a last minutes decision to bake this cake, and i just spent 3hrs to complete this birthday cake on his birthday. 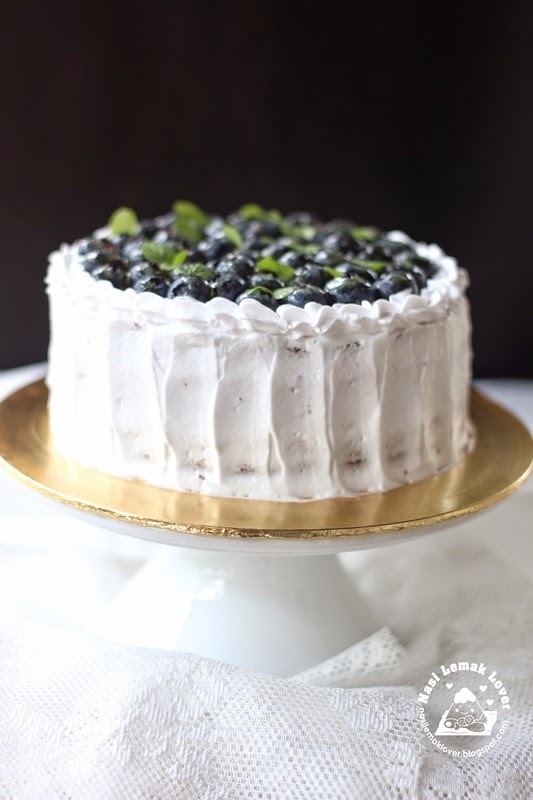 I chosen this Japanese dark pearl chocolate chiffon as the cake base because this cake is very popular among many blogger friends and the first time i tasted this cake in a bloggers gathering party, i was impressed. 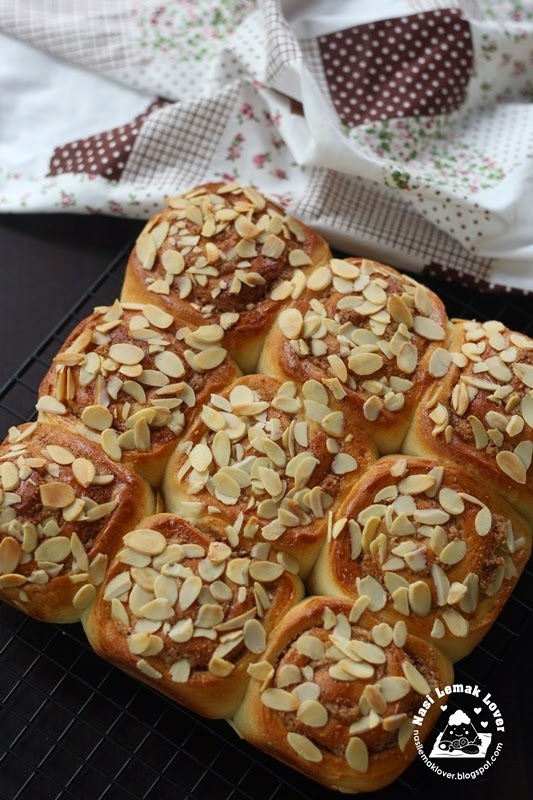 Don't know since when, my children started to accept cinnamon related foods, keep asking me when I can make for them the apple tart (with cinnamon), cinnamon rolls, pulut twist (also with cinnamon), churros and etc..So i started with this almond cinnamon rolls. 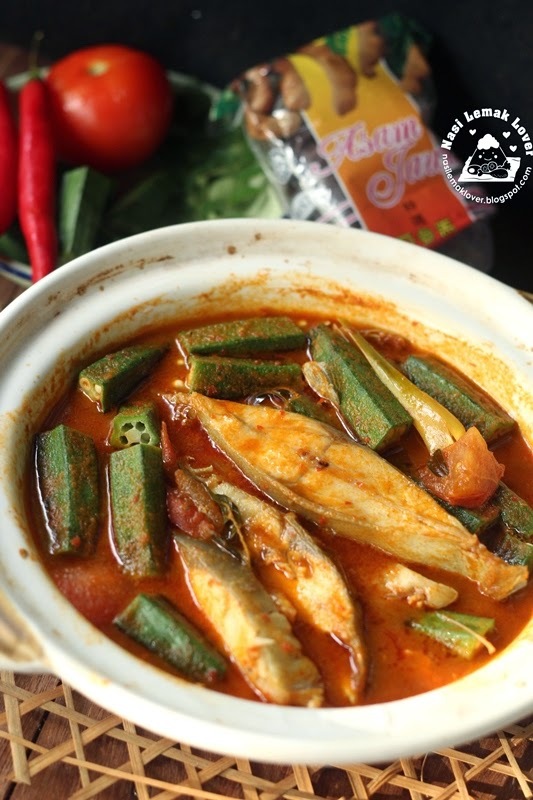 After cooked few types of assam fish, example this assam fish using homemade assam paste , or Indian fish curry, my family currently prefer this latest version of Assam fish curry. I bought a bag of flaked almonds during CNY as i was thinking to make some crispy almond butter cookies at that time. I didn't manage to make these cookies as lacking of time. 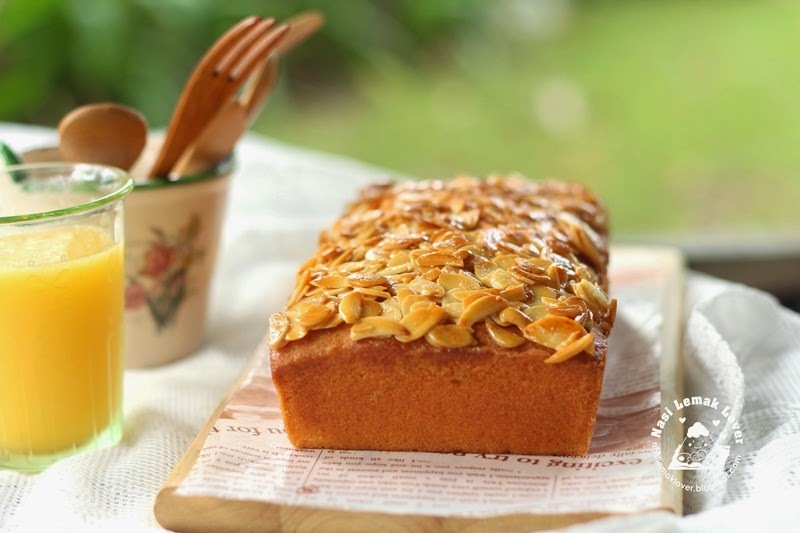 So i use it to make this butter cake instead. Since CNY till now, i have no time to make any bread at home. After the last live show on NTV7 (Morning Tai Tai) , i am kind of relax a bit ^_^. Since Easter day is coming, even we are not celebrating this day, but is fun to make some related foods, like this Hot Cross Buns. 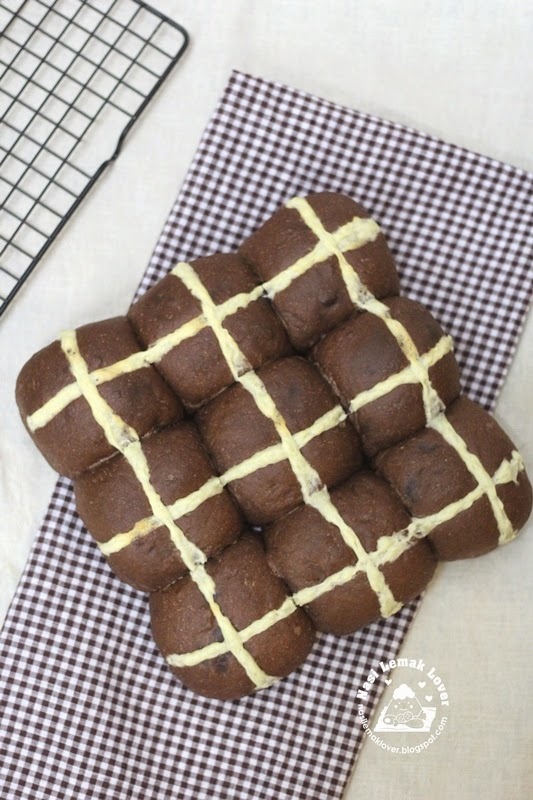 When i was planning to make this, my daughter told me to make something like the hot cross buns that we bought at Mark & Spencer London during our last trip there. The buns we tried was chocolate buns with chocolate chips and has hint of cinnamon aroma. So i came out with my own version. 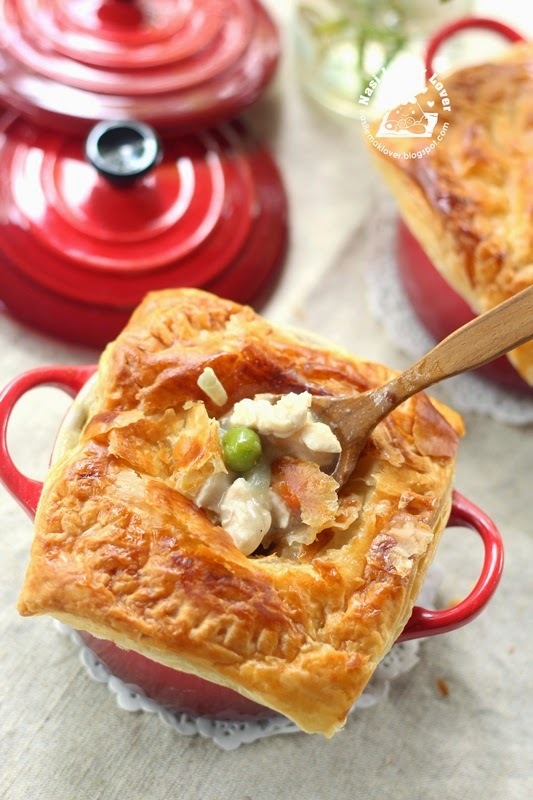 I have been making this chicken pot pie for lunch but have never record it down the exact recipe as i always in the rush when preparing this for lunch. Finally i was able to record down this recipe today, and have it record in my blog here.